SQUATTERS IN A Dublin cottage, owned by a sister and brother who live in Australia, have been told by a judge to leave the property within the next four weeks. Owen Donnelly, counsel for the siblings, said that an undertaking had been given on behalf of the group to leave the cottage, and retired nurse Lorraine Lyons and businessman Peter Harte were prepared to give them a month to get out. Donnelly said the cottage on Shamrock Street, Phibsborough, had been left to Lyons and Harte by their aunt who previously lived there. The property had been vacant for some time as title deeds could not be found and ownership had to be legally reconstructed. He said the siblings wanted to sell the cottage as house prices were on the rise, and agents acting on their behalf had been unable to gain access to prepare the property. The group, including businessman Sean Fitzgerald, had illegally taken up occupation of it. Lyons, of Kangaroo Point, Sylvania, Sydney, in a sworn statement told the court she and her brother were seeking to recover vacant possession. In September 2016 it had been found that the locks on the house had been changed and squatters had taken residence. Donnelly said the squatters had received warning letters but had refused to move out. 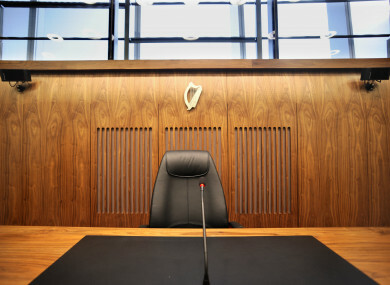 Judge Linnane said Fitzgerald seemed to be a businessman with an email address connected to Ballad Tours, Dublin. Fitzgerald, who represented himself and described himself as homeless and without any money, told the court he was speaking on behalf of everyone in the property and that they had all undertaken to leave. He asked for a month to facilitate him finding somewhere else to live. Judge Linnane granted Lyons and Harte an interlocutory injunction, stayed for four weeks, directing Fitzgerald and anyone else in the property to leave. She also restrained Fitzgerald and his co-squatters from preventing or obstructing agents of the siblings from taking possession of the cottage and directed that keys for the locks be given to the agents concerned. Email “Squatters given four weeks to leave house owned by people who live in Australia”. Feedback on “Squatters given four weeks to leave house owned by people who live in Australia”.